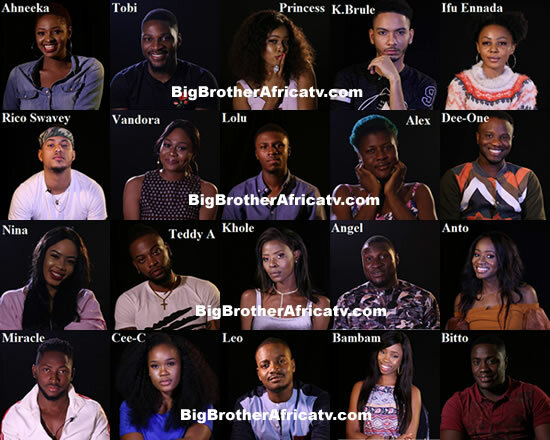 The Big Brother Naija 2018 'Season 3' housemates have finally been revealed. The 20 housemates / contestants for this year's edition were revealed during a two hour live show launch that was broadcast across the entire African continent. You should not forget that Biggie decided to increase the housemates' number from 14 housemates that we had during Big Brother Naija season 2 to 20 housemates. Some of the housemates are business people, some of them are highly educated while some of them have traveled quite a lot. So now that you know the Big Brother Naija 2018 housemates, please tell us who's your favourite by dropping a comment in one of comments boxes below..